Outshine everyone! This funky high tech formula gives hair a super shine without leaving hair greasy or heavy. 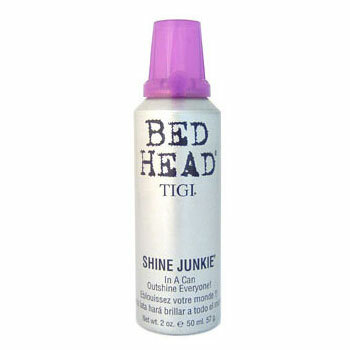 Be a Shine Junkie and get shine addicted. Lightly press out a dab and rub palms together to emulsify. Run Hands through hair. Feed your need for super soft and shiny hair! Hi-tech formula is addictive. Helps control static fly-always and camouflage dry, split-ends. Outshine everyone! Cyclomethico NE Dimethiconol, Aqua (Water), Alcohol Denat. (SD Alcohol 40-B), Ceteth-20, Laureth-4 Perfume (Fragrance), VP/VA Copolymer, CI 77019 (Mica), CI 77891 (Titanium Dioxide).